The U-shaped skyscraper when fully stretched out would nearly be double the height of Abraj Al Bait tower in Saudi Arabia. There’s absolutely no denying the fact that New York has architecturally beautiful buildings in a wide range of styles like the Empire State Building, the Woolworth Building, Central Park Tower and The One World Trade Centre. But, Greek architect Ioannis Oikonomou hopes to create a new kind of record by bending a skyscraper in half. 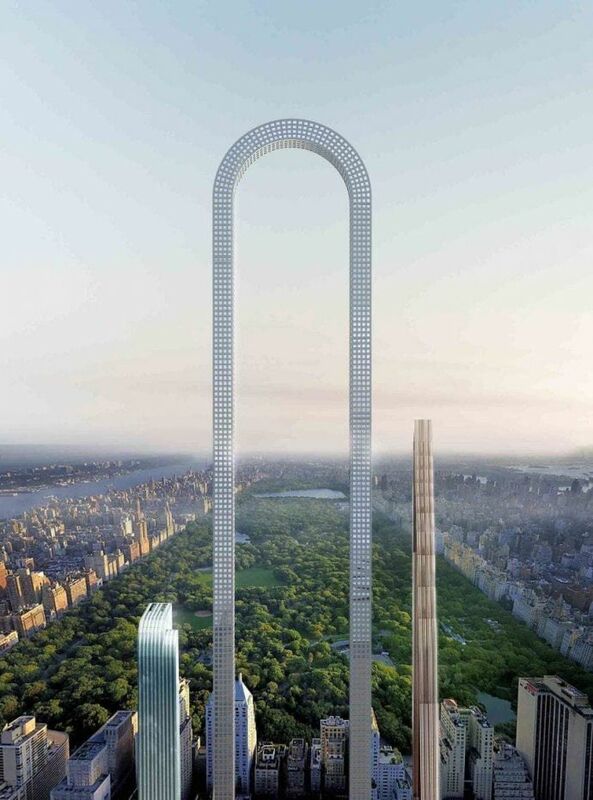 The end-to-end measurement of this curved skyscraper is 4000 ft (around 1.22 km) and is planned to be built on Manhattan’s Billionaire’s Row. Although the building is a U-shaped bend, when fully stretched out it would be nearly double the height of some of the world’s tallest skyscrapers including the Burj Khalifa in Dubai and the Shanghai Tower in China. 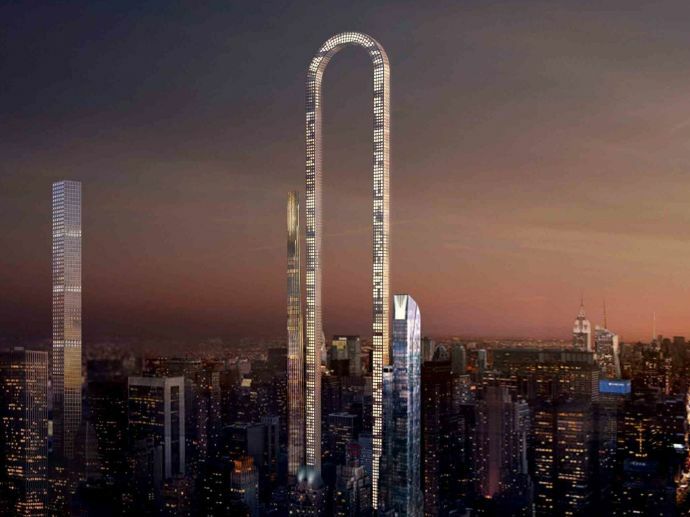 The narrowness of the slender structure is yet to be revealed, but they claim the skyscraper will also feature a lift that can ‘travel in curves’, moving both horizontally and vertically in continuous loops, along the building's length. However, the big bend is just an idea for now, as the building’s planning proposal has not been approved yet, and there’s still possibility that the skyscraper will never see the light of the day. But, according to The Business Insider, Oikonomou has sent the designs to a few developers and is currently seeking investments.